The Redeemed Christian Church of God (RCCG), through its wealth and skills acquisition training workshops is creating solutions to employment glitches in the country. The Pastor-in-Charge (PIC) of New Life Province, Federal Capital Territory (FCT2), Kubwa, David Adewuyi, while speaking at the graduation ceremony of the participants of the second set of skill acquisition programme said the aim of the church is to kick out unemployment, idleness and the innumerable social vices currently plaguing the society. According to ThisDay, Adewuyi noted that the acquisition is geared towards making participants take their destinies in their hands and ultimately live fulfilled lives. According to the provincial pastor, the initiative is part of fulfilling the global vision of the RCCG ministry. He said “The Lord laid in the heart of our General Overseer, Pastor Enoch Adejare Adeboye, to have a section which will be referred to as Church Social Responsibility (CSR). The courses were streamlined into: bakery, slippers and sandals making, phone and computer repairs, cream, soap and insecticide production, tailoring, graphic and web design, tailoring, generator and auto repairs, beads, gele and clothes design, events planning, entrepreneurship amongst others. An Assistant Pastor APIC and Zonal Pastor Oluyombo, was glad that 1051 Nigerians including housewives, unemployed youths and even employed graduates, successfully completed the empowerment programme. 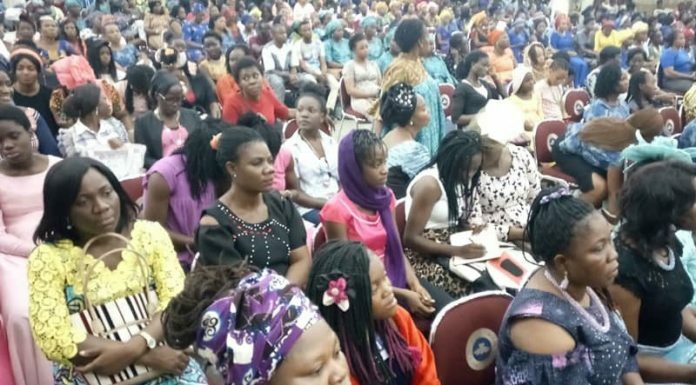 Wife of PIC, Dorothy Adewuyi, urged married women who are employed to take advantage of the wealth creation initiative of the church, adding that women are supposed to be supportive of their husbands and families. “As you aware these days, the man’s salary and means of livelihood might not be sufficient enough to carry on with the responsibilities of the family, so this is a good thing.” She opined. A total of 1051 persons graduated during the ceremony of the second set of skills acquisition programme.